Puri king Gajapati Dibyasingha Deb has said that the breaking of axle of a wheel of goddess Subhadra chariot before the famous Rath Yatra is an indication of impending danger that might befall upon Odisha as well as India. The axle that was fitted to one of the wheels of goddess Subhadra chariot broke two days before the commencement of the famous Rath Yatra in Puri. A new wheel axle has been replaced after that to ensure there is no fault in the running of the chariot.The annual ceremony marks The Trinity, Lord Jagannath,Lord Balabhadra and their sister Goddess Subhadra coming out of there abode for a sojourn to their aunt’s house. There are taken to their aunt’s house in three colourful chariots pulled by thousands of devotees. 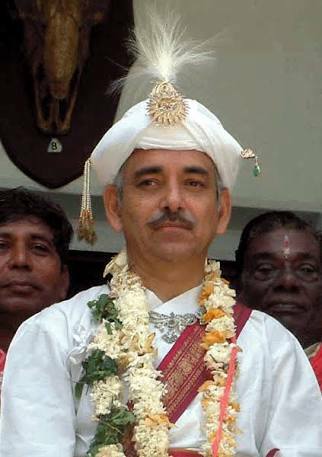 Puri king Gajapati Deb who is considered as the first sevayat, plays a key role in this 9days long festival. His words are greatly followed by the devotees of Lord Jagannath.